The rugby community in Madison, Wisconsin understands that we are stronger together. 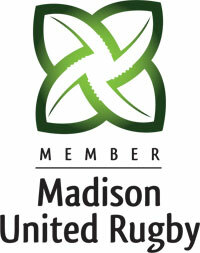 The teams formed Madison United Rugby in 2007 to help our teams grow and to build our sport in our city and region. The Wisconsin Women are proud founding members of Madison United Rugby and a sister team to our fellow MUR clubs. Please visit Madison United Rugby to learn more about our organization, youth flag rugby and our community of rugby teams.